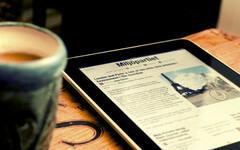 A study based on iPad users has turned out that the tablet owners are buying loads of cool new apps for their device. Surveys and studies conducted by Nielson shows that people have been feeding their Apple iPads, Amazon Kindle Fires and other Android devices with paid content and apps. These individuals have been mainly appreciating professional applications such as books, magazine features and movies. Jonathan Carson, head of Nielsen’s Digital Business exclaimed that selling subscription-based content to mobile users was once considered unthinkable. Although TV overwhelmingly relies on ads and subscriptions, but the Internet does not because most content available online is free. People with tabs are mainly downloading costly music, books, movies, magazines, TV shows, streaming radio, news and sports content, for which the payment mode is mainly credit cards. The United States of America, United Kingdom, Italy and Germany are the major voluntary participants in the survey. The study states the U.S. in the most likely country to buy entertainment while news content is highly preferred in Italy. Due to the U.S. news companies being hesitant to experiment with mobile and online subscription, Carson added there was a mix of availability of free news and other kinds of available media in the U.S.
Media companies have a really important lesson to be learned for business models and content strategies; as the study helps them figure out the balance between subscription and single content transaction, Carson suggested. Jonathan even stated that various media organizations should now start experimenting as new tech devices are soon to be introduced to the users. Though there is a very strong usage of news content on tablets especially for Americans, Carson added, they enjoy consuming the news content on their tablets for the American news companies haven’t considered monetizing them through paid subscriptions and paid transactions. Nielson is currently said to be focusing on looking at the world as people quickly adapt to various smart devices. The trend of paid content being preferred by individuals has brought about a turn of events at Nielson. Other interesting stats from the study on tablet owners revealed that most tablet users fall between 18 - 34 years.